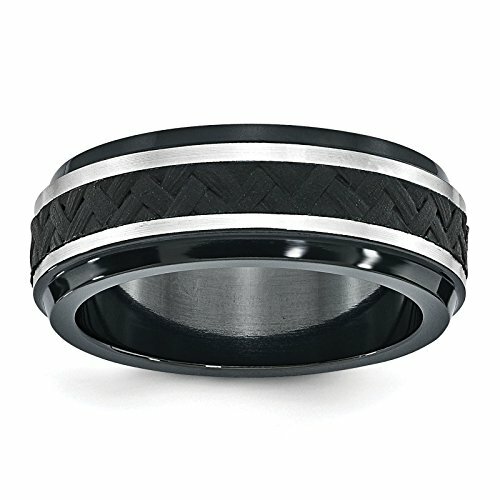 Titanium Black Ti Stepped Press Fit w/Black Carbon Fiber Insert 8mm Wedding Ring Band Size 12.5 by Edward Mirell. Comes in a Beautiful Custom Edward Mirell Ring Box. Features: Black Ti - Titanium - Black Carbon Fiber - Polished. * Unlike other commercially available, Edward Mirell exclusive cabon fiber has a luxurious, breathable, leather-like feel to it. * It is the first time being used in jewelry industry.